Prince Fielder's booming voice and laugh echo through the Texas Rangers' clubhouse. On the field, his swing is free and easy. This is the version of the big slugger the Rangers never really got to see last season after acquiring him. "Up there at the top of the list of highlights for me this camp," general manager Jon Daniels said. "All you've got to do is go up and talk to him, he'll let you know," new Rangers manager Jeff Banister said. "What an incredible human being, full of energy, full of life." Fielder hit .247 with three home runs and 16 RBIs while playing only 42 games in his first season with the Rangers. He had a cervical fusion of two disks in his neck last May, ending his then majors-best streak of 547 consecutive games played since 2010. He hadn't missed consecutive games since August 2007. Before being among several regulars not playing in Saturday's final exhibition game against the Mets, Fielder hit .341 with a homer and seven RBIs in 17 games this spring. His double was the only extra-base hit for Texas on Friday night against New York. "Obviously nobody wants to get hurt, but I think it definitely helped me as far as re-igniting my passion for the game, realizing how much I do love it," Fielder said. "I just really, started falling in love with the process and just really falling in love with getting prepared to play again. It's a lot of fun." The 30-year-old Fielder, a five-time All-Star, is going into his 10th full season and signed through 2020 after the Rangers got him in a November 2013 trade with Detroit for All-Star second baseman Ian Kinsler. Fielder has repeatedly said he's not sure when his neck started hurting, and if it was before he was traded from Detroit to Texas. 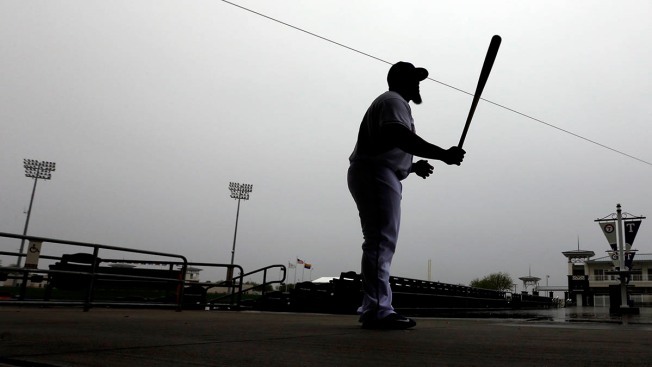 For the Rangers, it became immediately clear at the start of spring training in Arizona this year that Fielder wasn't completely himself when they first got him. "No. 1, his swing. He was able to let loose and cut it loose, no restriction and you could tell the strength he was missing last year," Daniels said. While nobody made any such conclusions last year in Arizona, Daniels remembers conversations wondering if Fielder was having his normal spring hitting sessions. But since it was Fielder's first spring with the Rangers, they had no comparative baseline. "It wasn't what you'd expect from a prototypical power guy," Daniels said. "Now, seeing what we saw this spring, and seeing, hey that's what it should have looked like." Fielder dismisses any notion that he's starting from scratch but admits that "definitely, it's a different feeling" than any other season after being out for a while. "I'm still the same guy," he said. Asked if anything during spring training satisfied any lingering doubts, Fielder said he knew he was all right when he homered. There was also that bunt single, when he laid one down to beat the shift during an exhibition game against the Los Angeles Angles. Third baseman Adrian Beltre said he is excited to see what a healthy Prince adds to the Rangers lineup after not getting to show what he could do last season. "He looks really healthy," Beltre said. "He looks comfortable, he looks happy. Mentally, he's there. Physically, he's there. I can't wait to be part of what he can do here this year."